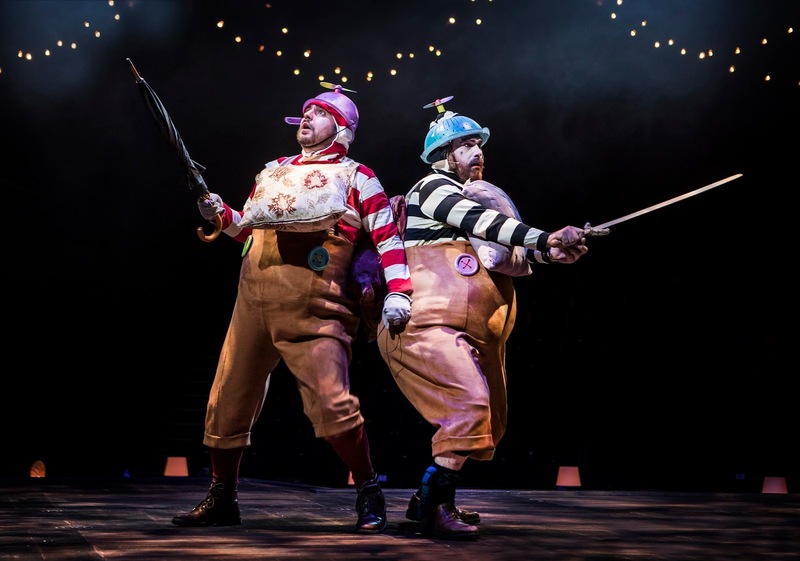 Don’t underestimate the significance that the Northern Stage Christmas shows have on culture in the region. 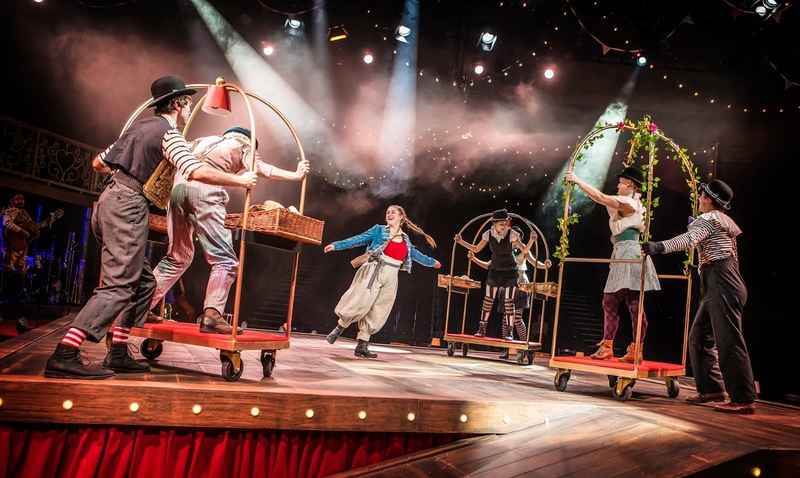 Many of the region’s creatives first taste of theatre was watching shows at the venue in either its current guise or as The Playhouse/Gulbenkian. The ability to create something different, to take calculated risks and to understand how to entertain young creative minds is unique. 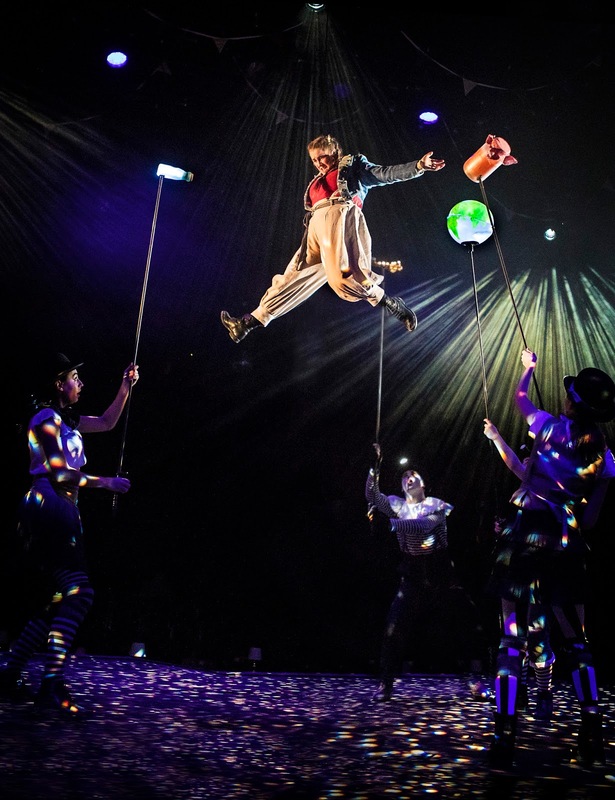 They can take a standard story like Lewis Carroll’s 19th century tale and make it vibrant, unusual and bonkers. Yes, definitely bonkers. Arriving in the theatre it is obvious that designer Rhys Jarman has been given an opportunity to fully exploit the space. Walls have been removed, seating has moved and a performance space created in the centre. A nice touch is the cabaret seating around the stage complete with Alice themed lamps. Indeed, the opening moments have a Cabaret feel as it appears the Theresa Heskins penned script is a musical with a European twist. Alice in Wonderland has had a few changes from the original tale but the spirit has been retained. 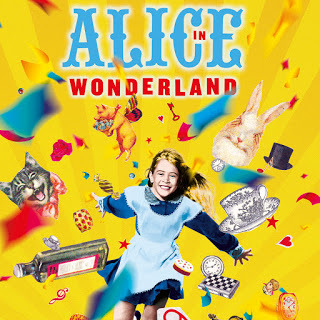 Alice (Alex Tahnee) is an illiterate 11½ year old girl who lives with her parents on a ship. They run out of food, so they dock and tell Alice to head off with a set of cards to earn some money doing card tricks. She ends up watching the Great Blanco (Chris Prince) who runs off with her cards. In the chase to retrieve the cards she finds herself with a bottle with a label she cannot read: ‘Drink Me’ she is told. The potion changes her size and the fun begins. 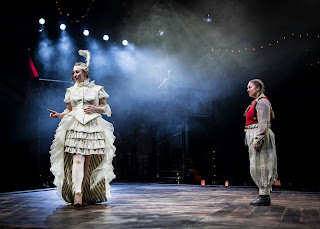 She meets the tyrant Red Queen (Laura Riseborough) and the more pleasant White Queen (Alice Blundell), has a crazy tea party and runs into Tweedle Dee (Michael Blair) and Tweedle Dum (Andrew Bleakley). There is a degree of creativity with the set up of some of the characters. 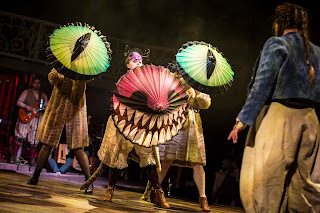 The Cheshire Cat (Clara Darcy) and the Jabberwocky will fuel the imagination of the young audience. As the tale moves around the venue Colin Grenfell’s lighting design picks out the action. The sound too is perfect. Unlike some shows we have seen recently, the sound copes with the move from spoken parts to the songs. 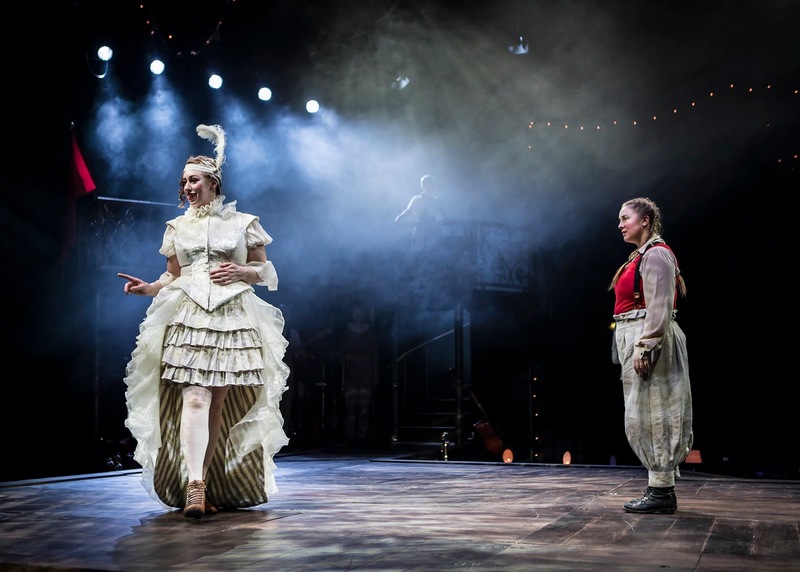 Mark Calvert has directed a show that has something new to offer someone who has seen a number of productions about Alice. There is something always happening and the action is very tight. It is sometimes too easy to take it for granted when witnessing such a well constructed show that many elements have to happen at the right moment to pull off the seamless experience for the audience and, yet, they achieve it. But the show isn’t robotic and it remembers that there are young people in the audience. We saw the show at 10:30 on a Saturday morning and, especially towards the end, the young voices could be heard reacting to the action which is great. The young people were invited to comment (though not quite in the panto “it’s behind you”, but not far off), to clap with some songs and to join in on the tea party fun. My young companion has seen four Christmas shows so far this season and he said this was the most enjoyable one so far. High praise indeed. Young people can often process many complicated themes – that’s why Wicked is such a hit – and they like shows that run off at a tangent. 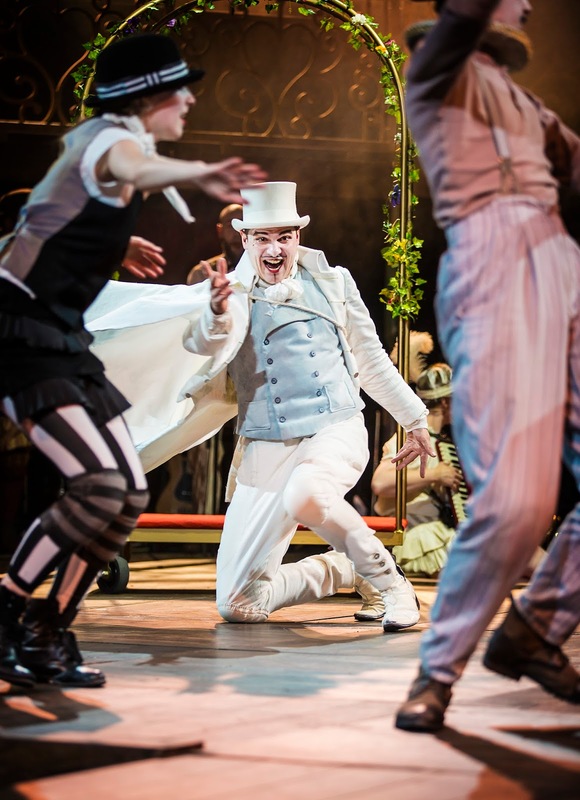 Alex Tahnee leads a cast that work hard and engage well with the young audience. The ensemble put a lot of effort in with the props and dancing. Performing in the round is a big challenge as you need to engage people in 4 different directions. Certainly where we were sat we could see the action at all times. So, once again, Northern Stage nicely fills in the gap for a Christmas family show that is not a panto. Visually exciting with some nice songs and incidental musical soundscapes performed live on stage, rather than in an orchestra pit, by composer Jeremy Bradfield and his fellow musicians. I don’t think any other venue in the region is going to go to this amount of effort to rearrange a pre-existing building to fit around their end of year show. Alice in Wonderland is going to inspire another generation of creative minds. And it is bonkers, we love it for that reason too. 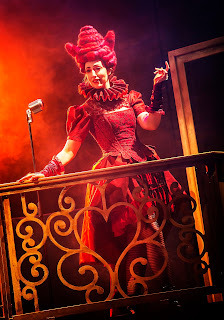 Tickets are now on sale from £10 at www.northernstage.co.uk or call the box office on 0191 230 5151.